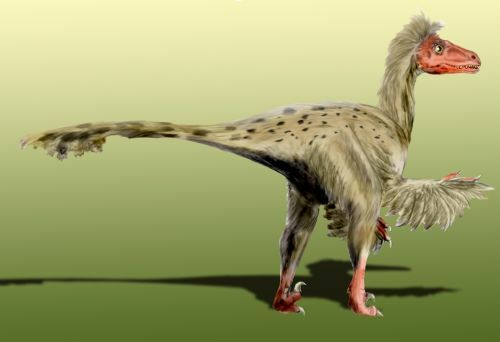 A reconstructed view of Sinornithosaurus – one of the Dromaeosauridae, the feathered Dinosaur ancestors of Aves, Avians – today’s birds. And just as the Dromaeosauridae are gone, and the 10,000 species of birds remain as a reminder of Age of Dinosaurs, the reign of the last of the Persian Shahs – Yazdegerd III is gone – but the Persian Empire remains in the dating system of an entire religion – that of Zoroasterianism. It is still the reign of Shah Yazdegerd III (d. 651) for those who follow Ahura Mazda – the Good God of the Prophet Zoroaster. And 2012 is the 1,380th year of his reign. We begin today to look in detail at the Early Conquests of Islam, and thus (somewhat) rejoin the field of History and leave 18th cent. Sociology behind. Today is a day of conquests and destruction, big winners and even bigger losers. Mostly, of course, it’s the Arabs doing the winning and it’s everybody else doing the losing. But that’s life in the latter 600’s – the story of the first great expansion of Islam. Not that it’s all easy pickings for the Arabs – it’s not. It’s a long, long series of continuous battles. But the Arabs luckily stumble upon two empires destitute after twenty years of exhausting world war, and they get to pick up the broken pieces of Rome and Persia that are lying all over the Middle East and the Mediterranean. Cities, castles, provinces, nations, armies, subject peoples, all for the asking. It is the end of Persia, and the near-end of Rome. It’s a big day, if you’re into change – change and the evanescent nature of human accomplishments in a militantly vicious and opportunistic world. Gotterdammerung – the Twilight of the Gods. Not to put too fine a Wagnerian point on it. 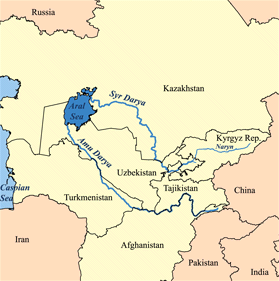 Map of the Aral Sea and the Oxus (Amu Darya – to the South) and the Jaxartes (Syr Darya – to the North) (Darya is river in Persian). Yazdegerd III lost his life trying to sell the royal jewels for passage across the Moghrab (?) in Merv a desert river just south of the Amu Darya. The Aral Sea of course, no longer exists, since the Amu Darya, like the Rio Grande, doesnt actually carry any water to its own delta, its entire flow is used up in irrigation before it ends. The Romans and the Persians had been at each other’s throats for about 400 years (240’s – 600’s) when the latest set of skirmishes ended in a substantial Roman victory for the emperor Maurice, Maurice wedded his daughter Maria to the new Persian Shah Khosrua II ( a marriage recorded by a chronicler Michael the Syrian, of which some modern historians entertain doubts). At any rate, Khosrau II had spent his youth among the Romans living in exile and so was a great friend of the last living family of the Justinian dynasty, esp. that is, of the emperor Maurice. And Maurice, once he’d defeated the Persians soundly, placed the exiled pretender Khosrau II firmly back on the Persian throne. Roman-Persian peace seemed assured. What could go wrong? But no Roman emperor ever easily wears the purple. Later, in a typically Roman spasm of discontent, the Romans killed Maurice and raised Phocas (602-610) as emperor, which both pleased and infuriated Khosrau II (TANGENT: this is the Phocas of Phocas’s column – the last column raised by an emperor in the Roman Forum). Khosrau had the excuse to go to war against the Romans and avenge their heavy losses under Maurice, and Khosrau had a just reason for war, as Maurice had been his friend and sponsor. And so began the Gotterdammerung of the Persian and Roman states, as the entire Eastern Mediterranean became one huge battlefield for over twenty years. For the next decade, Persia stripped Rome of almost every province she had, utterly exhausting the Roman economy and its own in the process. The next decade or so saw the Emperor Heraclius (who deposed Phocas) spring back from total Roman defeat and through a long guerilla-style war, annihilate the Persians and their empire, destroying what was left of Sassanid strength and exhausting the Persian and Roman economy a second time, this time completely with the war-to-end-all-wars war effort. Complete victory came to Rome this time, ending the 400 year Perso-Roman battle for Mediterranean/Mid-East supremacy. That was 629. In 632 the Arabs invaded defeated Persia and took it. In 633 the Arabs invaded the prostate Roman Empire and took it. Yazdegerd III‘s grandfather was the Roman Emperor Maurice. If it weren’t for the unfortunate war that lasted 20+ years between Persia and Rome, the Arabs might never have left the Arabian peninsula. As it was, in 651 Yazdegerd died trying to pawn his royal jewels to cross a river (the Moghrab in Merv south of the mythical Aral Sea). And by 674 (23 years later) the Arabs mounted a nearly successful siege on the Roman capital itself, Constantinople, as the Roman empire evaporated like morning mist in the midday heat of the rising sun of Islam (forgive the florid metaphor-making). 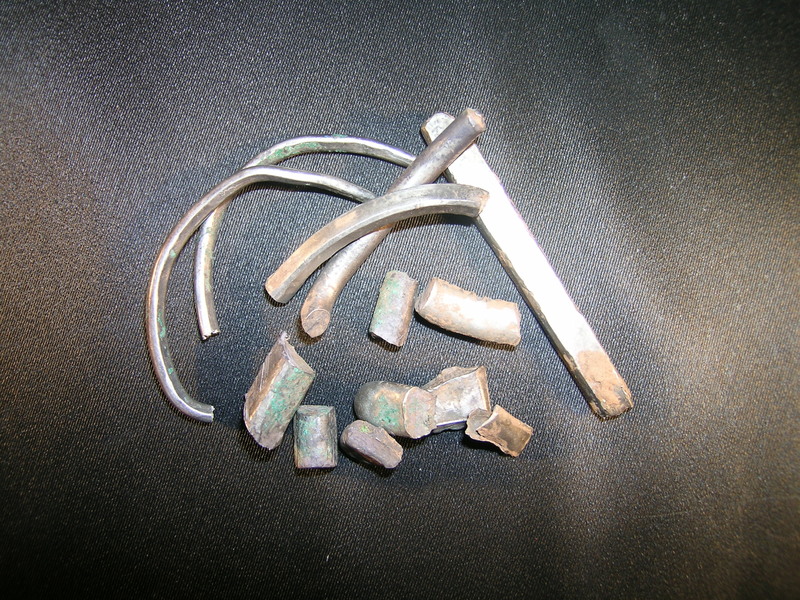 Non-coin objects from the Furness Hoard – a Viking hoard from in England dating from the 900’s found in 2011 by optimistic and hardworking persons employing metal detectors. Note that the items that are precious metals are hacked into pieces. Gibbon points and laughs at the Arabs destruction of Art, by dividing the spoils of war into convenient pieces for distribution to underlings. But, just like the Arabs with their Roman and Persian spoils during the 700’s, the Vikings in the 900’s act in the same way. Its just that the actions of Scandinavian ancestors of English aristocracy had slipped from the national consciousness by the 1780s. Gibbon makes a point of showing the naive simplicity of the Arab conquerors of the Persian Empire in a long page-long passage today. In his mind, Gibbon was referencing not only the Arabs of the 630’s but also the Arabs and Arab Mid-Eastern, Islamic culture of the 1780’s. Gibbon means to show that the simple men of the world, although numerous and powerful, will innocently and cheerfully destroy civilization every time if allowed the opportunity. Therefor, it must be the goal of civilized, enlightened men everywhere NOT to give them that chance. They must be protected from themselves, for their own good. Thus the Gibbon passage quoted below demonstrating the infantile actions of Early Arab conquerors. Simple raiding and pillaging societies (like the Arabs) coming into contact with complicated nation-state-empires (like the Persians) is an old story. Gibbon’s own ancestors were probably those same simple, destructive people – nations that heedlessly ripped apart superior civilizations in the name of pillaging and wealth. This, however, was conveniently forgotten by the late 1700’s. Each invading nation, each people arriving to conquer England followed the same pillaging philosophy – be they Angles invading Roman Britain, Danes/Norwegians invading Saxon England, or Norman coming over in 1066 – the Norman Conquerors of Normandy were, after all, descendants of Vikings – Scandinavian pirates – war parties that had ravaged the Lower Seine for a hundred years and had finally blackmailed the French king into giving up French territory for them irrevecably. No one stood between a Norman and some movable, relatively-unprotected wealth. At least not for long. Carolingian silver and gold statuary was clipped into pieces by Vikings (to be distributed among their own Viking war bands just like the Arabs distributed their booty between their own tribes on Jihad. They tore apart wealth just as eagerly as the Arabs (ex. the Furness Hoard) – in fact, in exactly the same way as the Arabs tore apart the Persian’s Chinese silk tapestries in the Gibbon quote below. But again, this had all been forgotten by the time of the Enlightenment and Gibbon. Civilization versus Barbarism. The parallels to European expansion in the late 1700’s over the entire world are obvious, and Gibbon is smilingly making that point to his readers. Civilized white men from Europe are confronting traditional cultures everywhere on the globe – and it is the white man’s duty to civilize them. Gibbon’s point is that the Arabs conquered the Persians but didn’t have the slightest idea what they had conquered. Gibbon says they are brave and hardworking, but ignorant and destructive. In Gibbon’s eyes, on the whole, that makes them not worthy of overlordship. The Arabs are not like the English (in the 1780’s), who are brave and hardworking AND knowledgeable and constructive. There is more than a little paternal smirking and winking going on in this passage about the Arabs and their reaction to one of the big three (China, Persia, Rome) civilized, highly-organized states of the Late Antique, Early Medieval World. The naked robbers of the desert were suddenly enriched beyond the measure of their hope or knowledge. Each chamber revealed a new treasure secreted with art, or ostentatiously displayed; the gold and silver, the various wardrobes and precious furniture, surpassed (says Abulfeda) the estimate of fancy or numbers; and another historian defines the untold and almost infinite mass, by the fabulous computation of three thousands of thousands of thousands of pieces of gold. Some minute though curious facts represent the contrast of riches and ignorance. From the remote islands of the Indian Ocean a large provision of camphire had been imported, which is employed with a mixture of wax to illuminate the palaces of the East. Strangers to the name and properties of that odoriferous gum, the Saracens, mistaking it for salt, mingled the camphire in their bread, and were astonished at the bitterness of the taste. One of the apartments of the palace was decorated with a carpet of silk, sixty cubits in length, and as many in breadth: a paradise or garden was depictured on the ground: the flowers, fruits, and shrubs, were imitated by the figures of the gold embroidery, and the colours of the precious stones; and the ample square was encircled by a variegated and verdant border. The Arabian general persuaded his soldiers to relinquish their claim, in the reasonable hope that the eyes of the caliph would be delighted with the splendid workmanship of nature and industry. Regardless of the merit of art, and the pomp of royalty, the rigid Omar divided the prize among his brethren of Medina: the picture was destroyed; but such was the intrinsic value of the materials, that the share of Ali alone was sold for twenty thousand drams. A mule that carried away the tiara and cuirass, the belt and bracelets of Chosroes, was overtaken by the pursuers; the gorgeous trophy was presented to the commander of the faithful; and the gravest of the companions condescended to smile when they beheld the white beard, the hairy arms, and uncouth figure of the veteran, who was invested with the spoils of the Great King. A very sad numismatic relic. Coin of last Sassanid Persian Emperor Yazdegerd III (Persian for -made by God) minted in RY (Regnal Year) 11 (643) – he reigned 632-651. As Zoroastrianism was the state religion of the Persians, the religious calendar of the Zoroaster was based on the regnal years of the Persian emperors. There were no other Persian Emperors after Yazdegerd III – at least no Zorasterians. So we are currently in the RY 1380 – of Yazdegerd IIIs reign and the Zorasterian calendar both – which are the same thing. The story behind this coin is that it was minted 6 years (643) after the fall of the capital, Ctesiphon, in 637, so that makes it a coin minted by a provincial mint acting for a government in exile – a government that was to disappear entirely in 8 years. As I said, sad. In today’s reading, the last of the Persian Shahs (Sassanid Empire (224-651) is defeated, hounded, betrayed, and dies. This is Yazdegerd III. The Persian Sassanids were inveterate Zoroasterians, and since the state supported priesthood was intimately involved in the government of Persia, the religious calendar followed the political calendar – dates were calculated based on the regnal year (reign-year) of the current Persian Shah. But what happens to a state religion when the state disappears? Gibbon delights in examining just that when he discusses Christianity, Rome, and the Catholic Papacy. But we are looking at Persia just now. Actually, that very thing happened in Iran/Iraq in the late 600’s. Between 637 and 651, the Persian Zoroasterian state evaporated, replaced by Islamic territories in the newly-born Islamic Empire run by Islamic governors. Well, if the supporting state disappears, apparently you are fossilized in place, at the moment of the state’s destruction. For the Zoroasterians, this meant the era of Yezdegerd III (regnal year starting 632) never ceased. We are currently in year 1380 (in 2012) of the reign of Yezdegerd, Persian Shah. This is the official date of the Zoroasterian religious calendar. A sad and interesting fact. Like the once-ubiquitous and powerful clade of dinosauria (dinosaurs) surviving as the class Aves (birds), the Sassanid Persian Empire survives today in an obviously radically different form in the ongoing faith of Zoroasterians. The Zoroastrian religious calendar, which is still in use today, uses the regnal year of Yazdegerd III as its base year. Its calendar era (year numbering system), which is accompanied by a Y.Z. suffix, thus indicates the number of years since the emperor’s coronation in 632 AD. This is also a Page in the Header above. I should have done this long ago, but was overcome by blog-sloth and blog-entropy – that’s my story and I’m sticking to it. I’m only doing it now because sometimes it takes a good five minutes for me to figure out how Benjamin Franklin would have spelled the names of Persian shahs or Arabic cities in order to link it to the modern spellings you find in current references online (say Wikipedia). 18th Century Englishmen had a field day with non-Latin alphabet transliteration. Very imaginative. So, once I’ve done it and I’ve got a link, I figure, well, I ought to save you some of that trouble. Thus the table below. Although, to be truthful, I could have been doing this all along, for the last 2 years and the table (including Latin, Greek, Chinese, Turkish, Arabic, Russian, etc) would have extended to hundreds if not thousands of entries by now. But here it is now, today, such as it is. As you can see, I’m still lazy. It’s not much of a table. But it’s a start. Bassora Basra,Iraq (Al-Basra) City Foremost port of Iraq. Nearby Umm Qasr is the deepwater port on the Gulf. Cadesia Qadisiyya or Kadisiya Battle Decisive battle – Arab victory over Persian Empire (636). Cufa Kufa,Iraq, (Al-Kufah) or Najaf (An-Najaf) City First great mosque of Kufa in Iraq 630’s, tomb of Ali is in Najaf. Kufa now part of larger town Najaf. Madayn Al-Mada‘in, Iraq City Also known as Ctesiphon, Seleuca, One Cap. of Persian Emp. Arabs let Ctesiphon decay, founded new capital 110 miles north on Tigris – Baghdad. File this under P for It All Depends On Your Perspective. 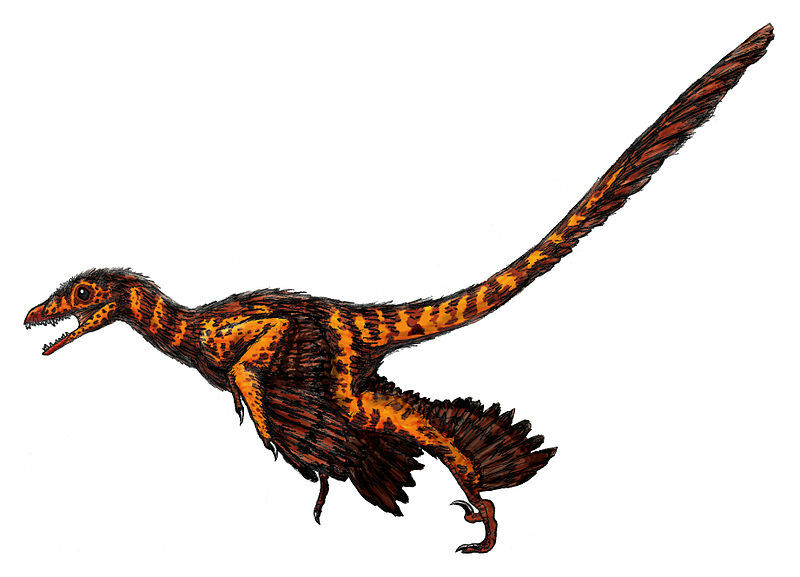 Here is yet another feathered Dinosaur, Dromaeosaurus. Feathered like a bird, because, in actuality, as it turns out, all birds are Dinosaurs – like House Sparrows they are of the Clade Dinosauria. I heard on a NOVA special – The Four Winged Dinosaur – one of the hosts mentioning that there are 5,700 species of mammals and there are 10,000 species of birds – which means we are effectively STILL IN the Age of Dinosaurs. Its just that we newbies, the mammals, well, in our self-absorbed universe, we just don’t want to see it that way. And, likewise, 1400 years later, the Iranians still (at least up till the 1960’s) called their leaders Shah – just like Yazdegerd III.